Our Mini and Midi-Buses are luxurious and equipped with air-conditioning and the highest standard tracking system. Tlhago Nature Travellers CC (trading as Tlhago), is a 100% black empowerment company. 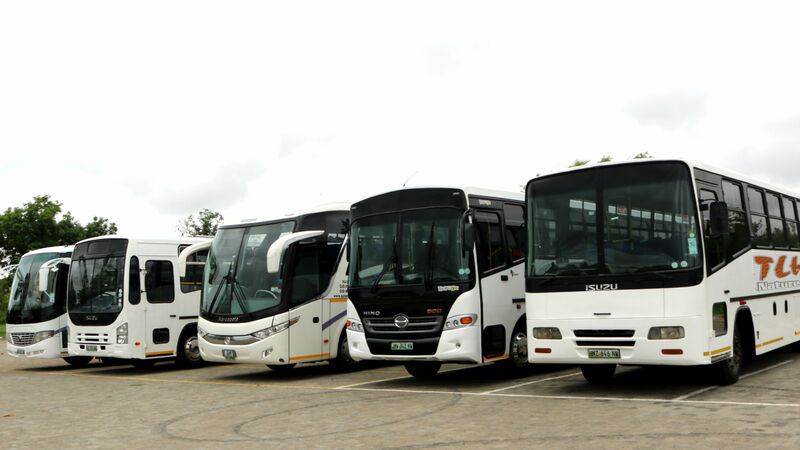 Tlhago is owner managed and provide comprehensive touring operator services – specializing in tailor made tineraries, leisure transport, shuttle services, educational excursions for groups and scholars. Tlhago also offers general transport for all your special event needs including Community Projects and patient transport. We have experienced immense growth in this segment of our business. The company owns a reasonable fleet of midi-buses and minibuses with trained officials and a qualified tour guide. Our name says it all: Tlhago is a Setswana word referring to the wild and original state of the eco system. We are passionate about our country and breathtaking scenic beauty and it is our passion to share this with “YOU” – our beloved tourists and adventure seeking customers. To provide excellent and efficient service to our customers at competitive prices. To minimise the number of road accidents through intensive in-house training and tests to our drivers. To be an active member of the communities in which we do business by taking part in community – upliftment programmes. We provide transport, do accommodation bookings on your behalf and offer exciting tour packages to our clients. Emmanuel holds a Bachelor of Arts qualification, specializing in Psychology and Public Administration. Tshegofatso holds a Diploma in Business Management, obtained from Technikon Pretoria in 2003. Our turnaround time for decision making is quicker as the business is still small and directors are hands on and able to resolve as and when challenges arise. The business boasts a record of 8 years accident free due to its robust vehicle monitoring system and driver training/assessment. The business location has a very low crime rate, thus limiting risks. Bookings are 24/7 even after hours and weekends we acknowledge bookings and are able to service the clients. The company’s management is committed to service delivery with a clear goal and strategy to ensure that skills, know-how and expertise are transferred to previously disadvantaged individuals. The business currently employs seven full time employees. All our drivers have more than 7 years experience and hold code 14 drivers licenses. The business remains committed to the upliftment of previously disadvantaged individuals and will favour the employment of young black people. We believe that our greatest value is our people. We value the demonstration of respect for the uniqueness of every individual and believe that such an attitude will build a team of confident, creative members possessing a high degree of initiative, self respect, and self discipline. We believe that customers can and will take notice of and appreciate great, caring service. We base our efforts on this foundation.